Trinity Church was originally constructed in 1883 as Trinity Emmanuel Church by Englishman Thomas Montgomery for the British and German cutlery workers at nearby Lamson & Goodnow. Trinity Church is now a multi-denominational federation, made up of Baptist, Congregational, Episcopal and Methodist parishioners. An Access for All project begun in 2004 addressed handicap accessibility into the church and community center in the basement. 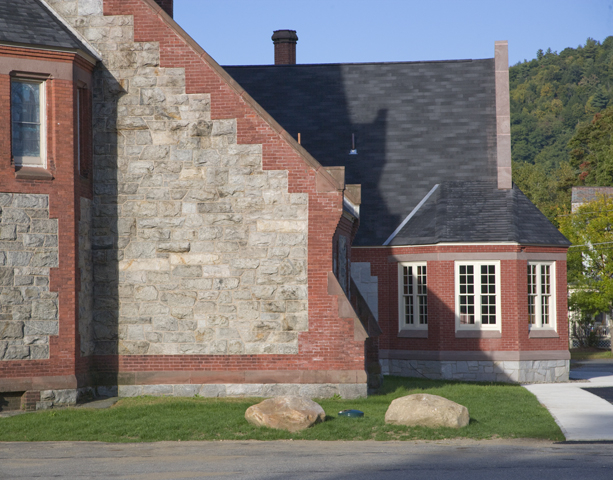 The addition provides a multi-level access lift, narthex and lower level restrooms, all constructed of granite, brick and sandstone trim to match the existing structure. Construction done by Dole Brothers of Shelburne MA. This project was done as designer and project manager under the direct supervision of Landry Architects.